Ionkromatográfiás rendszerek (IC) és szoftverek - CP-Analitika Kft. 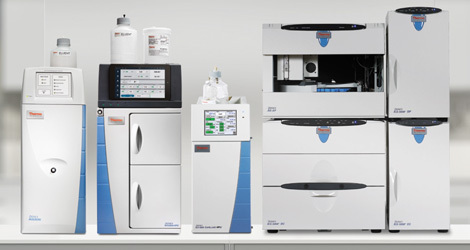 For ion analysis, nothing compares to a Thermo Scientific Dionex ion chromatography (IC) system. Whether you have just a few samples or a heavy workload, whether your analytical task is simple or challenging, we have a solution to match your performance and price requirements. Recent innovations include high pressure systems, 4 micron columns and capillary systems and columns and more. As the technology leader in IC for over 40 years, you can feel confident you’re getting the best in our IC systems, consumables, service, and support. You’ll find a complete line of Thermo Scientific™ Dionex™ IonPac™ columns for hydroxide, carbonate, and methanesulfonic acid (MSA) eluents. Many are now available with our newest innovative format—capillary and 4µm particle size. Our BioIC columns, the Thermo Scientific™ Dionex™ AminoPac™ and CarboPac™ columns, enable direct analysis of amino acids and carbohydrates by ion chromatography (IC).